North American families are in crisis, and the need for family ministry is more evident than ever. In her many years of ministry, research and teaching, author Diana Garland has found that the strength of Christian families is rooted in their faith and nurtured in their congregations. Garland believes that Christian families gain strength in part because of their communities of faith. 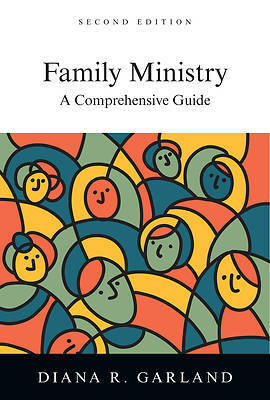 Twelve years after first coming to print, the award-winning Family Ministry has been given a significant makeover. In this new edition Garland takes a three-pronged approach to family ministry, which includes developing families grounded in Christian faith, helping families live the teachings of Jesus with one another, and equipping and supporting families as they learn to serve others. The insights gained are organized into four main sections: The Context for Family Ministry Family Formation Family Dynamics Leading Family Ministry Garland examines and fully integrates the historical, sociological, theological and biblical contexts to understand the role and meaning of family in the life of Christians and the church. She perceptively connects these explorations with the social and cultural context of the early twenty-first century.